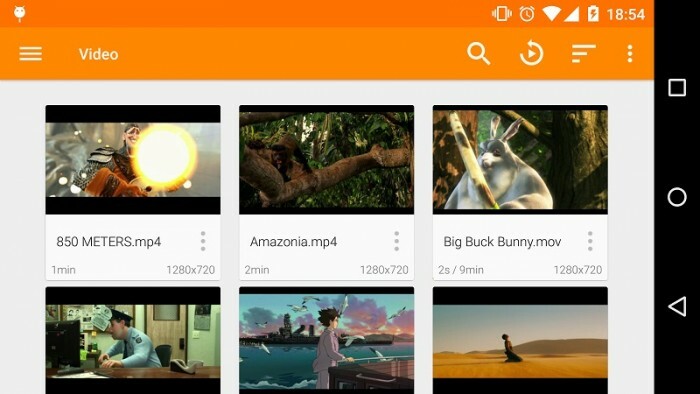 VLC for Android 1.7.0 released early this month, is a free and open source cross-platform multimedia player that plays most multimedia files as well as discs, devices, and network streaming protocols. VLC for Android can play any video and audio files, as well as network streams and DVD ISOs, like the desktop version of VLC. VLC for Android is a full audio player, with a complete database, an equalizer and filters, playing all weird audio formats. Supports Android from version 2.2 (platform-8).